Frustrated MS-13 gang leaders feeling the pressure from the Trump administration’s crackdown are looking to send “younger, more violent offenders” to the United States to take over the role of being enforcers, officials say. The revelations were made Thursday during a House Committee on Homeland Security meeting on fighting international criminal organizations, where officials discussed the arrests and imprisonment of MS-13 members and leadership over the last year. “They’re very much interested in sending younger, more violent offenders up through their channels into this country in order to be enforcers for the gang,” said Stephen Richardson, assistant director of the FBI’s criminal investigative division, according to VOA News. “It’s a horrifying thought,” King was quoted as saying by VOA News. Justice Department figures say the gang has 40,000 members worldwide, with around 10,000 in the U.S. carrying out crimes ranging from extortion to gun trafficking. “We’re looking at the information we’re getting and doubling down our efforts against MS-13,” Raymond Villaneuva, an assistant director for U.S. Immigration and Customs Enforcement, told lawmakers in response to King’s comments. The gang, also responsible for dozens of gruesome deaths throughout the U.S., was designated a “priority” last year by the Justice Department’s Organized Crime Drug Enforcement Task Force. Prosecutors are able to pursue any legal avenue to target MS-13, according to Attorney Gen. Jeff Sessions. 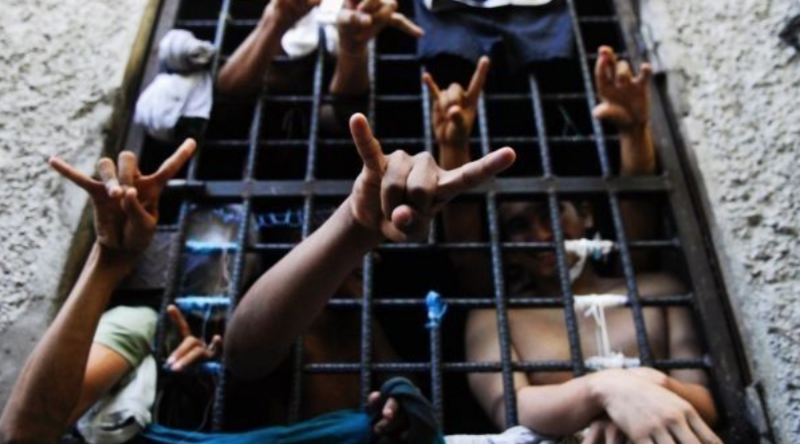 U.S. officials and three Central American countries announced in September that more than 3,800 members of MS-13 and the 18th Street gangs have been charged since March. Sessions also said in December the Justice Department convicted more than 1,000 gang members in the U.S. in 2017, VOA News reported. MS-13 is believed to be behind 25 killings on New York’s Long Island alone in the past two years. Many MS-13 recruits are middle- and high-school students, predominantly in immigrant communities, who are said to risk violent retribution if they leave.